Sometimes all you need is an interesting shirt to pair with your jeans for a night out. 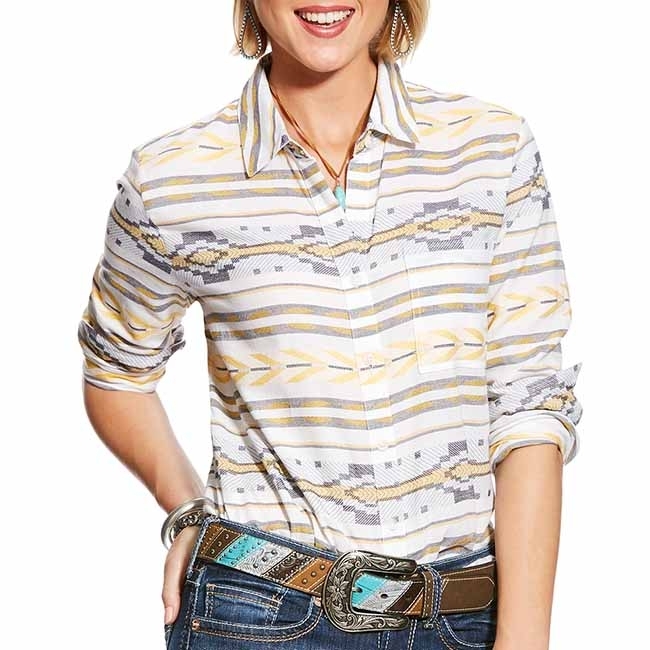 This Ariat Womens Mika Shirt is an eye-catching shirt that is perfect with jeans. You will love the unique Aztec jacquard stripe pattern and the split lower back detail that makes this Ariat shirt a contender for you heart.